Well, as OCS didn’t really do it for me (yet? ), i decided to skip my intended session and joined Sander at “SEC05-IS Cybercrime: The Art of Identity Theft!”. It was as much fun as it was scary and shows how easy identity theft can be. Andy Malone showed some of the websites and tools used, which are mostly available freely. Next on the list was “UNC303 Advanced Troubleshooting Strategies for Exchange Server 2007”. 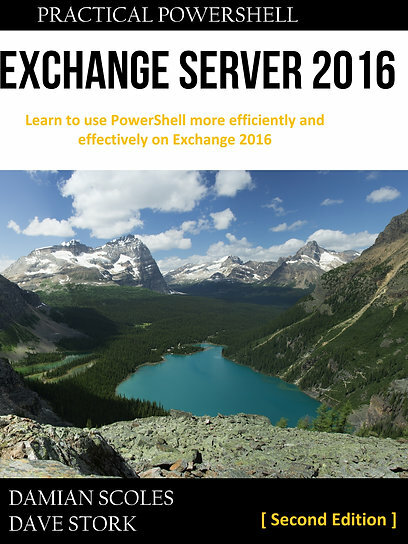 A very educational session and very helpful to see how an Microsoft Exchange technician is handling Exchange troubles. The following quote of the speaker made this session a top one: “Exchange is the worlds most largest monitoring tool”. And I can attest to that. If your AD, DNS, IIS or Storage is having troubles, your users will probably call you because their mail isn’t working. Also the under promoted Exchange Management Shell cmdlet test-systemhealth will be in my standard set when troubleshooting from now on. Session “MBL03-PD Windows Mobile – what’s new and what’s cool?” was a bit disappointing for me. The speaker and the presentation where perfectly fine, but the content was not at all new for me. Only the Live Mesh stuff (online synchronization of multiple devices) were relatively new for me, but it didn’t feel like a big revolution. Just an evolution of known techniques. In between I decided to do some Hands On Labs. I completed two: “UNC08-HOL Deploying and Configuring Microsoft Office Communications Server 2007” and “UNC13-HOL Using Exchange Server 2007 Cluster Continuous Replication”. It turned out that both implementations are not that very hard to realize. Especially implementing CCR was fun to do and clarified a lot for me.